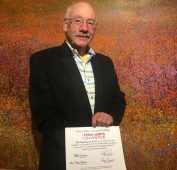 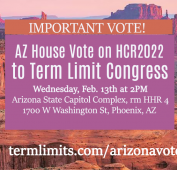 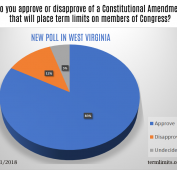 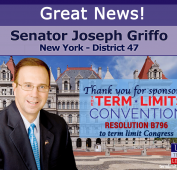 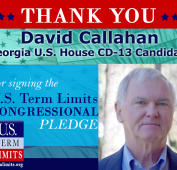 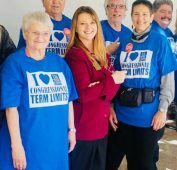 For immediate release March 5, 2019 Contact: Scott Tillman Email: stillman@termlimits.com Phone: (321) 345-7455 Congressional Term Limits Resolution JRH2 Filed in Vermont House Montpelier, VT — Rep. Robert Helm (District Rutland-3) is leading the way in Vermont to term limit the U.S. Congress by sponsoring a resolution for a national term limits amendment proposal convention. 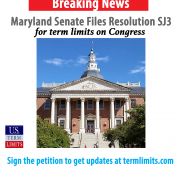 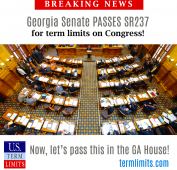 For immediate release March 4, 2019 Contact: Scott Tillman Email: stillman@termlimits.com Phone: (321) 345-7455 Maryland Senate Files Resolution for Congressional Term Limits Annapolis, MD – Today, a resolution for a national term limits amendment proposal convention, Senate Joint Resolution 3, was introduced by Senator Eckardt (District 37). 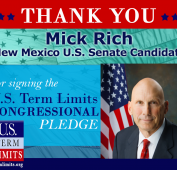 The measure was cosponsored by Senator Michael J.